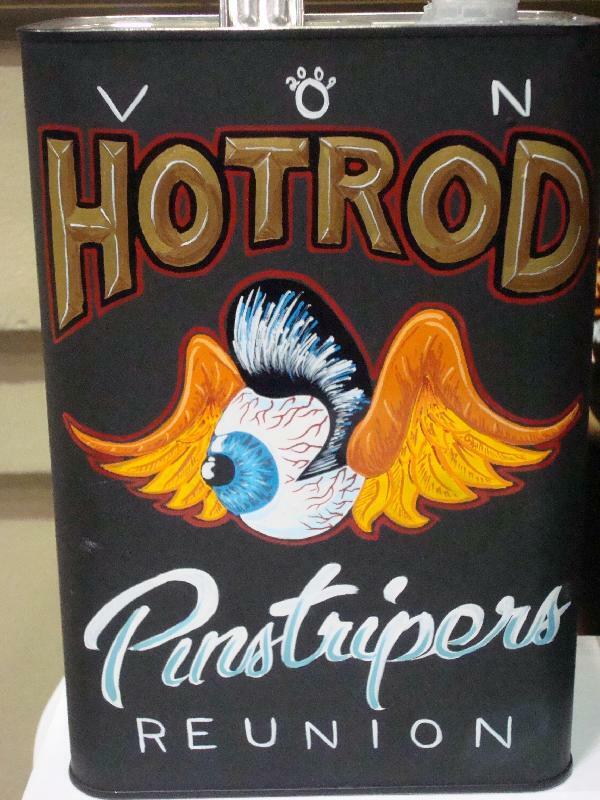 For 14 years, pinstriper Von Hot Rod has assembled legends and up-and-coming pinstripers from around the world in the main hall of the Grand National Roadster Show. 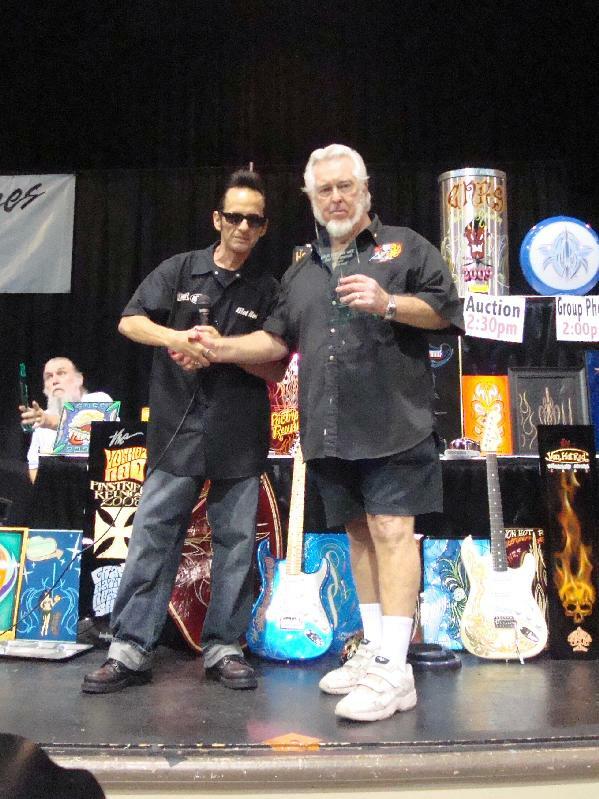 Von told me the Pinstriper’s Reunion was started because, “The freehand pinstriping was coming to an end in the 80’s when vinyl was trying to take over.” I guess I never saw that because I can’t believe anyone would mistakenly apply vinyl after seeing the talent assembled in Pomona. 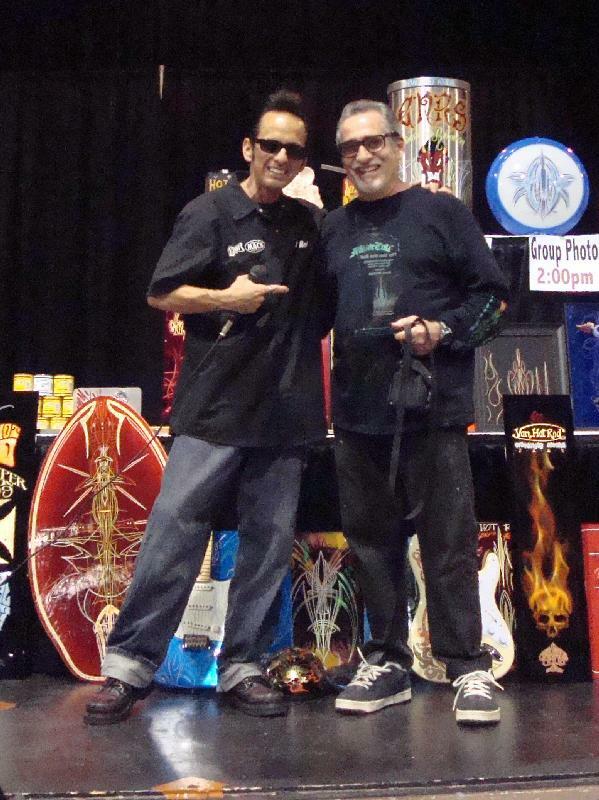 Pinstiping looks easy… when you watch these guys freestyle a complex design while you snap pictures, but give it a try! This is art! The creativity of the top stripers can spruce up your car, garage or in my case my office. Nothing says cool like hand laid stripes. Screw vinyl! For all the pinstripers, Von reminds me this is a invite only show. On hand this year were 30 of the greatest pinstripers from all over the world. 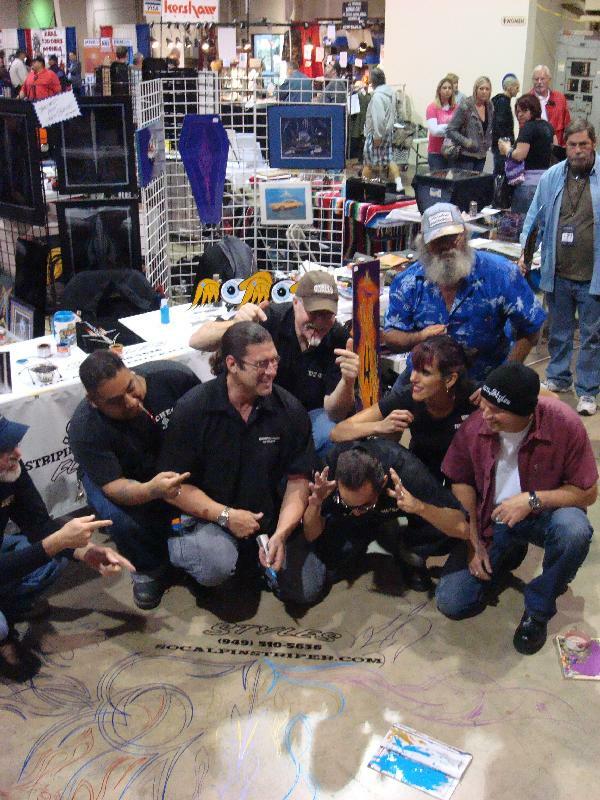 We had Pekka from Finland, Dr.D from Florida, Artie from SC, Wildman and Ghost from Japan just to name a few. Von’s proud to share his success with others through his heartfelt Sunday message and with the charity auction that concludes the reunion. 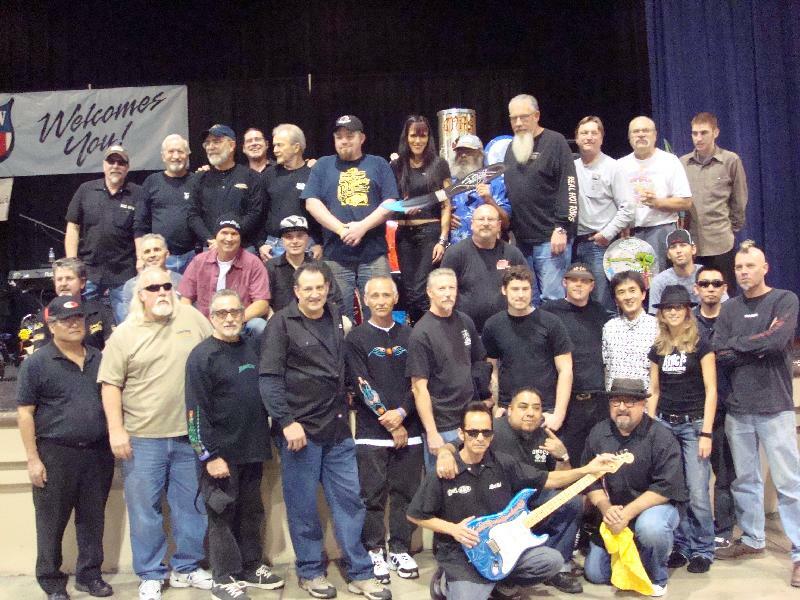 With donations from every pinstriper, the auction raised $14,102 for the Progeria Research Foundation. Show your support by helping the Foose family reach their fund raising goal. 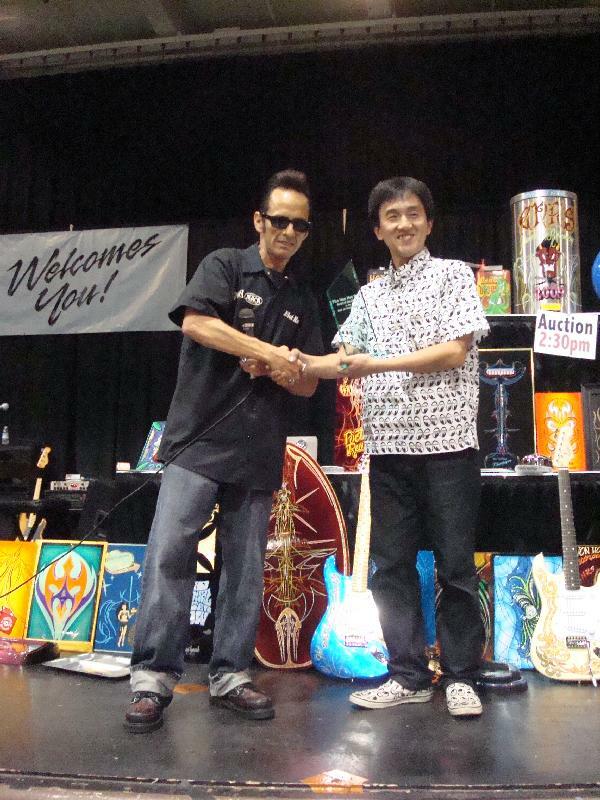 As Von readies for next year’s 15th Reunion, I’ll share some pictures taken by Ren-A with captions by Von. 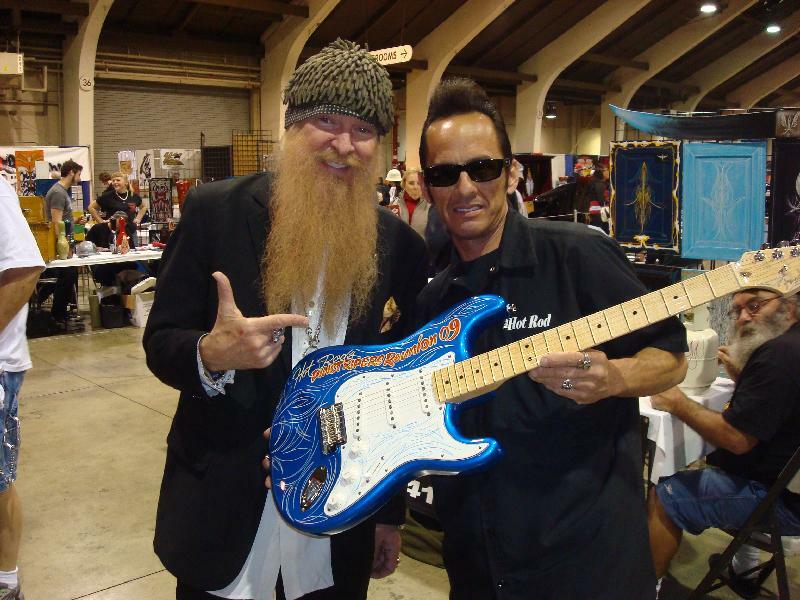 This Guitar is a Jeff Beck Stratocaster painted by Brizio Street Rods in candy blue; Pinstriped by Von Hot Rod. 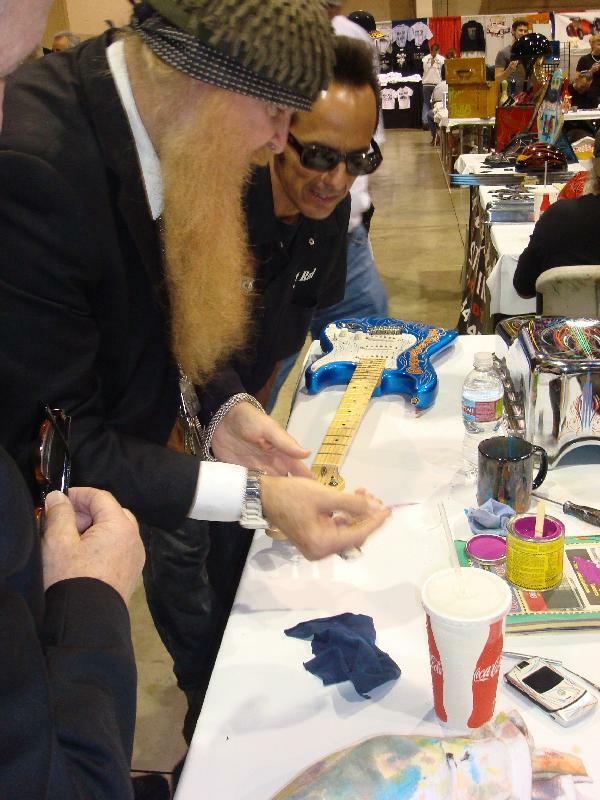 Von Hot Rod with Billy Gibbons showing Billy the Von Hot Rod pinstriping brush. 30 of the greatest pinstripers from all over the world. 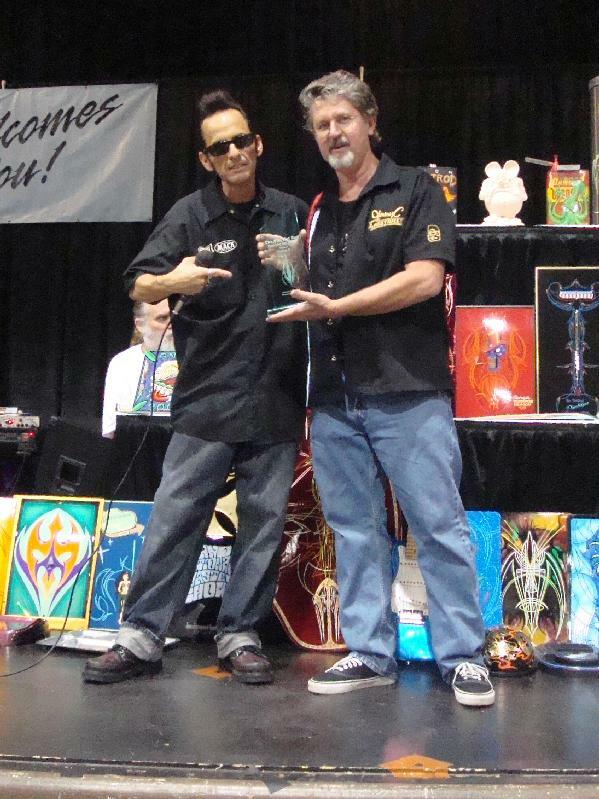 The ''Von Hot Rod Pinstriping Hall of Fame'' inducts Jimmy C.
Thank you to everyone who participated either by striping or by buying from the auction. If you were one of the artists or you bought an item, let us know! Where’d it go? How was the auction? Will you be back for the 15th? I will!